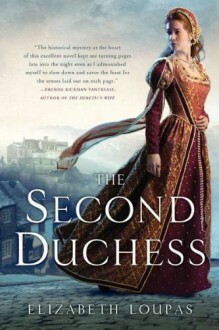 A rich, compelling historical novel-and a mystery of royal intrigue. In a city-state known for magnificence, where love affairs and conspiracies play out amidst brilliant painters, poets and musicians, the powerful and ambitious Alfonso d'Este, duke of Ferrara, takes a new bride. Half of Europe is certain he murdered his first wife, Lucrezia, the luminous child of the Medici. But no one dares accuse him, and no one has proof-least of all his second duchess, the far less beautiful but delightfully clever Barbara of Austria. At first determined to ignore the rumors about her new husband, Barbara embraces the pleasures of the Ferrarese court. Yet wherever she turns she hears whispers of the first duchess's wayward life and mysterious death. Barbara asks questions-a dangerous mistake for a duchess of Ferrara. Suddenly, to save her own life, Barbara has no choice but to risk the duke's terrifying displeasure and discover the truth of Lucrezia's death-or she will share her fate.